At Smith Steelworks, it is our mission to create outdoor business signs that match the feel of your company. This means we provide a variety of powder coating colors and metal finishes including rustic and black patina. 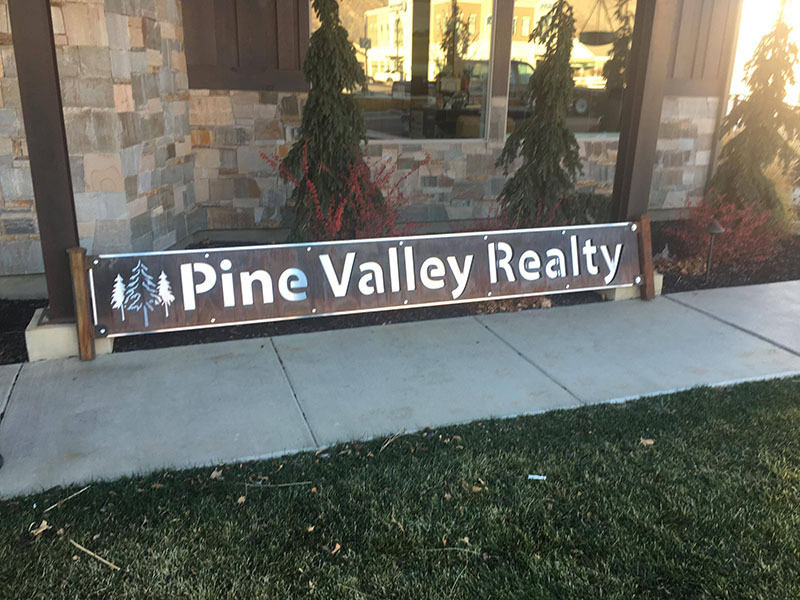 We also work with a team of designers to incorporate your business logo, style, and other elements you would like included in your outdoor business sign. 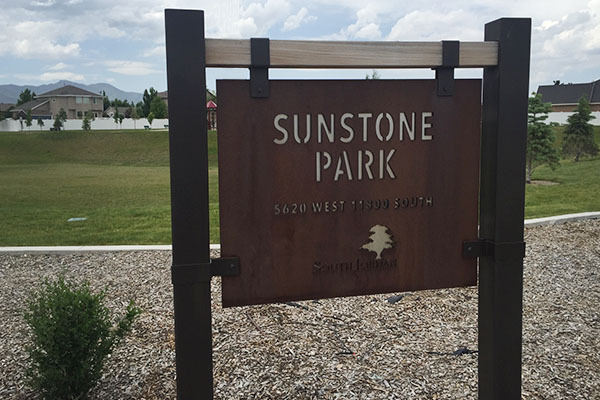 Give us a call today at (801) 414-1724 to get started on your custom sign. After we have received your design ideas, our team gets right to work creating a proof. This will be emailed to you and provide an accurate representation of how the finished sign will look. You will then have a chance to have any additional changes made as well. Once the sign design has been approved by you, it is sent to be laser cut. The metal sign is then powder coated or a metal finish is applied. This specific outdoor business sign was rusted and a stainless steel backing plate was added for contrast. 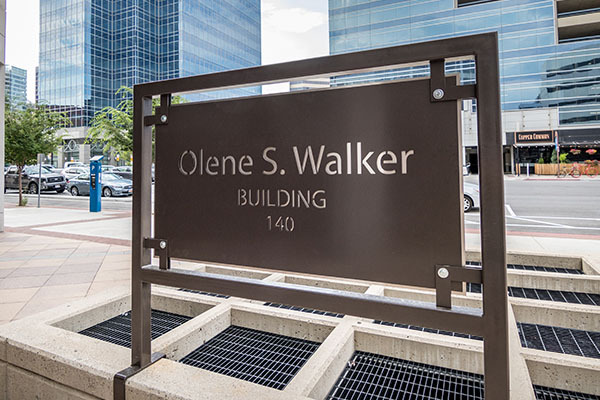 Each outdoor business sign is designed to withstand harsh weather conditions without succumbing to corrosion. Our powder coat is applied using a three-step process for durability. No business is quite alike, so neither should be their signs. 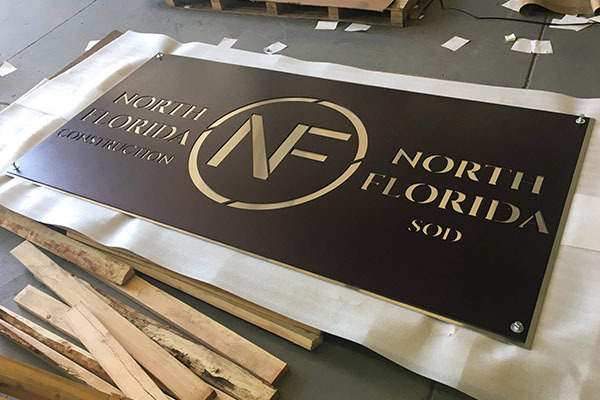 We work with a design team to provide fully custom sign options that incorporate your logo, inscription, special ideas, and more. We believe in creating outdoor signs that will last for years to come. Special care is taken during the whole manufacturing process to keep it looking new, even with prolonged outdoor exposure. 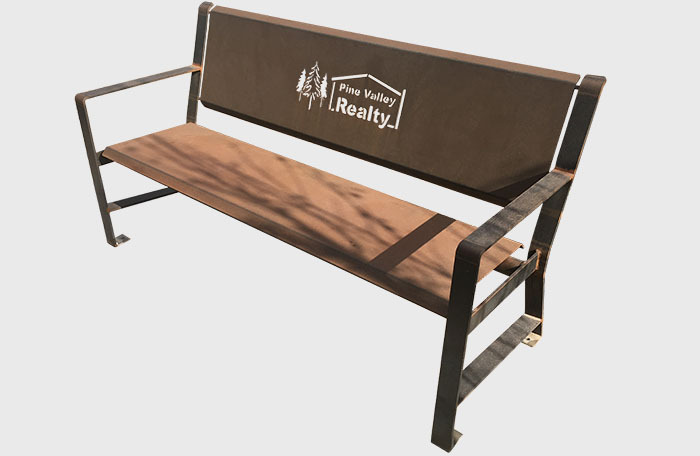 A bench is the perfect way to bring your business front to life. We offer three different bench styles, variety of colors and unlimited design options. For this bench, they selected a true rust finish. You can check out our rust powder coating color here.